The UUCWI minister and chaplain are available for pastoral visits and to perform rites of passage ceremonies. If you need pastoral care, please call the minister or chaplain. For their phone numbers or to message with our church administrator, please see our Contact Us page. Recent monthly reports from the minister to the Board of Trustees can be found here. Our minister, The Reverend Emily Melcher, serves our congregation half time, appearing in our pulpit twice a month. Emily is an ordained Unitarian Universalist minister and a singer and songwriter. She was born and raised in Redlands, CA, where she participated in a youth circus, choirs, and musical theater. She was a high school exchange student in Sweden and went on to earn both the B.A. and M.A. degrees in Scandinavian Languages and Literature. Emily married her long-time Swedish friend and sweetheart, Anders Hornblad, in Sweden in 1985. A noted translator and performer of Swedish troubadour music, Emily is also a songwriter. She writes from her own experiences at the intersection of creativity, psychology, and spirituality. She describes singing and songwriting as contemplative and creative practices that foster and inspire wholeness and a deepening connection to the spirit of life and love. She has recorded four CDs. 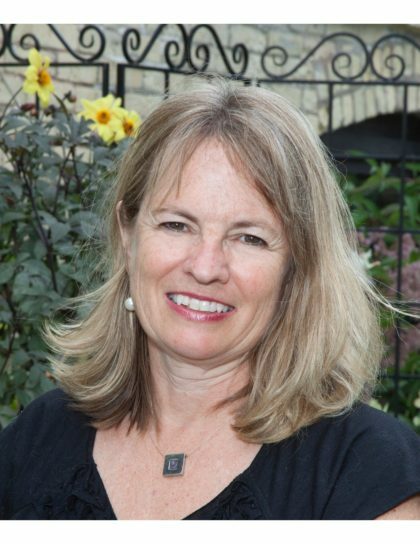 Emily’s call to ministry came, and was nourished, in her home congregation, First Unitarian Society of Madison, Wisconsin. She earned the Master of Divinity degree at Andover-Newton Theological School in Massachusetts and was ordained to the UU ministry in 2009. Emily found her first ministry position, and what was to be her calling for several years, in interim ministry. 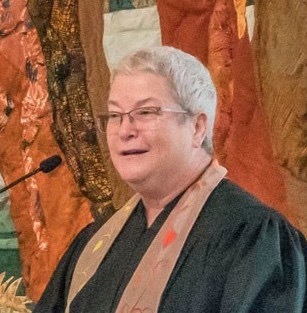 She served as interim minister with congregations in Vermont, Connecticut, and Washington. Emily is currently enrolled in a Doctorate of Ministry program in Spiritual Renewal, Contemplative Practice, and Strategic Leadership at Claremont Theological School, where her focus in on developing a sustaining and sustainable practice of ministry. In August 2018, she joyfully accepted our call to serve half-time as the professional minister in our congregation where all share in the ministry. You can learn more about Emily’s music and ministry on her website: http://www.emilymelcher.com. Sally Ann Elder has served as chaplain for UUCWI congregants since 2004. 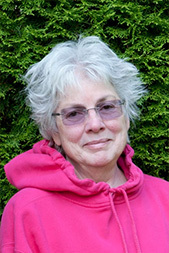 She officiates local weddings and funerals, assists in our religious exploration programs, volunteers as the hospital chaplain at Whidbey General and facilitates our North End Study Group. See her Biography for more details. Becky Myrick, M Div, MA, is a “missionary kid” from South Africa where her parents taught at a seminary for black Africans for 12 years. After graduating from Yale Divinity, she served four congregations in the United Church of Christ in the 1980s and 90s. Hospice work was to follow, as well as wellness coaching and bodywork. Being present as a deep listener for people in many challenging and joyful circumstances is what gives her life meaning. She officiates at weddings, memorials, and transformative rituals. She is also a passionate leader/teacher in InterPlay, a form of embodied creativity and play for “recovery serious” people. Becky teaches stress reduction, ways to happiness, and the enneagram as well. She loves exploring participatory arts of all kinds with people.